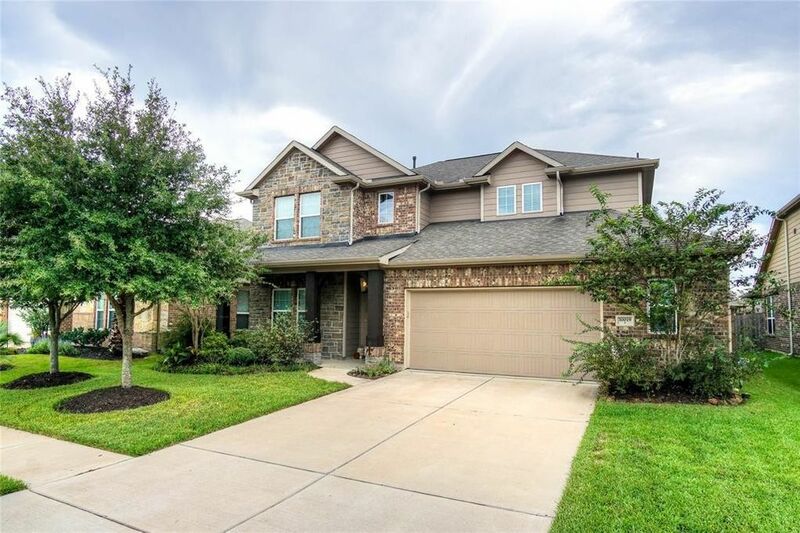 This gorgeous 4 bed 3.5 bath home with a 2-car oversized garage is a must see! Upon entry you are greeted by an elegant formal dining room perfect for entertaining! The executive study would make for a great home office! Kick back after a long day in the spacious family room featuring water-resistant hardwood laminate flooring, a cozy tile fronted fireplace, a vaulted ceiling & a wall of windows that shower the room in natural light! Whip up your favorite recipes in the beautiful kitchen equipped with granite counters, tile backsplash, under cabinet lighting & lovely cabinets that provide ample storage space! In the evenings, withdraw to the spacious master suite complete with a vaulted ceiling, bay windows & a luxurious bathroom showcasing double sinks, a garden soaking tub & a tiled walk-in shower! The 2nd floor houses a game room, media room & all 3 secondary bedrooms! Covered back patio great for firing up the grill! Award winning Katy ISD! DID NOT FLOOD! Don't miss this one! Directions: Travel I-10 West. Exit South (Left) on Pederson Rd., Make a right on Kingsland Blvd., Left at Willow Creek Farms Ln., Right on Willow Brook Ln, - house on the left.